There is no better way of sampling all Melbourne has to offer than partaking in a good old road trip. And we’ve come up with an exhilarating three-day itinerary which should lead you to amazing yet lesser-known spots in Melbourne. The trip starts at either Tullamarine or Melbourne airport and so AUZ Rental Cars should come in handy as it offers free transfers from the airport. From Melbourne’s towering skyscrapers, it’s time for an out-of-town experience and leading us away from the city is the Great Ocean Road. Picturesque views of the coast while cruising on the road are telling of where the road get its name. Some amazing locations found on the stretch of the Great Ocean Road include the Surf world where you can test your surfing skills, and the Anglesea Golf Course where you get to tee off. After enjoying all the coast has to offer, the road trip ends at Apollo Bay, also marking the end of day-one of our itinerary. Day two dawns with us at Apollo Bay, where we enjoy a nice breakfast. The Great Ocean Road takes us away from Apollo Bay and leads us to Port Campbell. Hope you have your camera with you as the coastal town is filled with amazing views. If you’re up for something more memorable, then a helicopter tour around the city should suffice. Back on the Great Ocean Road and we head off to our next destination; Warrnambool where there too much to do and not enough time. Finally, we head off to yet another coastal town; Port Fairy which marks the end of day-two of our adventure. If you didn’t have enough time to enjoy all Port Fairy has to offer, then you can take a quick trip around the town in the morning. Don’t worry about traffic. The Great Ocean Road takes us away from Port Fairy and on our way back to Melbourne. On the way you can get more spectacular views of the coast. Finally, we’re back to the great city of Melbourne. The towering skyscrapers that dot the city’s skyline greet us as we end our exciting three-day road trip. You know what would ruin the perfect three-day road trip? Driving in a faulty car. This great itinerary demands an amazing car to match. Which is why AUZ Rental Cars should be your first port of call before proceeding with the road trip. 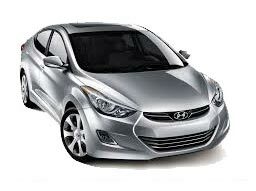 At AUZ Rental Cars, you get the lowest car hire rates in Melbourne plus zero extra driver fees. Not to mention that you get the hired car delivered to your exact location.